Will spring ever come? That was definitely the question I had to ask everyone today. With the cool weather I figured it was a good day to get my agronomy staff get ready for the scouting season so we went checking some fields for weeds and we found a little bit more that what we bargained for. As far as the weeds go, they have been very slow due to the cold temperatures but underneath the ground was a different story. In the one field we found some pale western cut worms which we don’t normally see but can do a lot of damage to the crop. But the main pest we found today was wire worms. 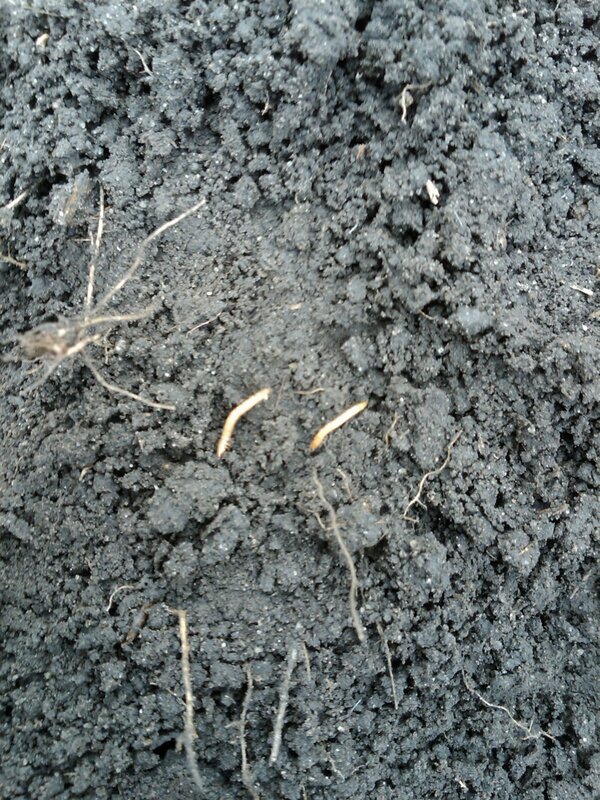 Now a lot of growers tell me that they can never find wire worms but there is a trick when looking for them. They are usually located very close to the soil surface so you don’t want to be digging, more like flicking the dirt away. They will move up and down through the soil but this time of the year I tend to find them at the soil surface. Now the adults are a creamy yellow to orange in color an around a inch long. These are the easy ones to find but the very young wire worms are the tough ones to see. They are a clear to white in color and move very quickly in the soil. Today we found 3 adults and 2 infants in a 6 inch by 6 inch square. There is no real firm threshold for wire worms but the number that is in the industry seems to be 1 worm per bait ball (most bait balls are made from oatmeal which the wire worms seem to like to eat). So what does this all mean? Well we would normally just say that we had seed rot or disease that caused us to have a lower plant population than normal. But without taking a look we could have wire worm damage and not even realize it. Now for all of you with seed in the ground there is no option for controlling wire worms unless you used Cruiser Maxx Cereals for cereals. Cruiser Maxx Cereals is the only seed treatment registered in cereals for control of wire worms as of today. Bayer Crop Science is working on having their product Raxil W/W registered but it looks like it will not be available until next year. You are probably saying to yourself “this is great information but a little to late to help me.” With scouting for underground pest and understanding the levels we can make a sound decision for the next year. In agriculture we are famous in just saying”Well if I found them in one field they will be in all of my fields so we might as well just treat everything!” This statement can be true but with proper scouting we can identify the fields that have a problem and treat them instead of the whole farm. In this final segment of the four part series, Jay Bradshaw discusses how the public perception of agriculture is one of Syngenta’s and farmers greatest threats. Whether you are Syngenta, Crop Life or a farmer it can be difficult to manage against the eyes of public perception. This is especially true in Ontario with Bill 64 (urban pesticide use) as people will not be able to use pesticides for home and garden use as of April 2009. The reality is that what is next? Many of these same products are used on farms and this truly feels like the “thin edge of the wedge,” as Jay describes it. 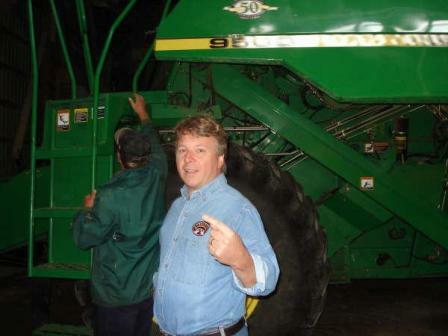 This is part 3 of 4 of my interview with Syngenta Canada President, Jay Bradshaw. In this segment Jay talks about how the variety registration system in Canada needs to be improved and how transgenic wheat will bring benefits to farmers and consumers. 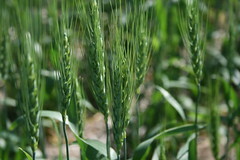 Transgenic wheat is an issue that will have to eventually be dealt with. Transgenic wheat is not all about Round up Ready or the terminator gene. It is about being able to access technology like the fusarium resistant trait or end use traits that allow for tastier bread. You are currently browsing the archives for the Syngenta category.